In some cases, such as scanning a website that requires a 2FA mechanism, you will need to use the Interactive Login feature. Since this feature is not supported in Netsparker Enterprise, you can run scans in Netsparker Standard and export the scan results to Netsparker Enterprise. 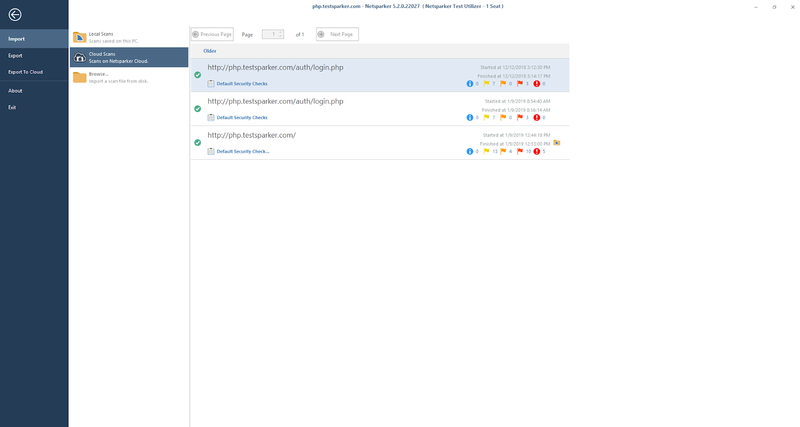 Sometimes, you may want to monitor the scan traffic simultaneously (a feature unique to Netsparker Standard), then later show the results to your team in Netsparker Enterprise. 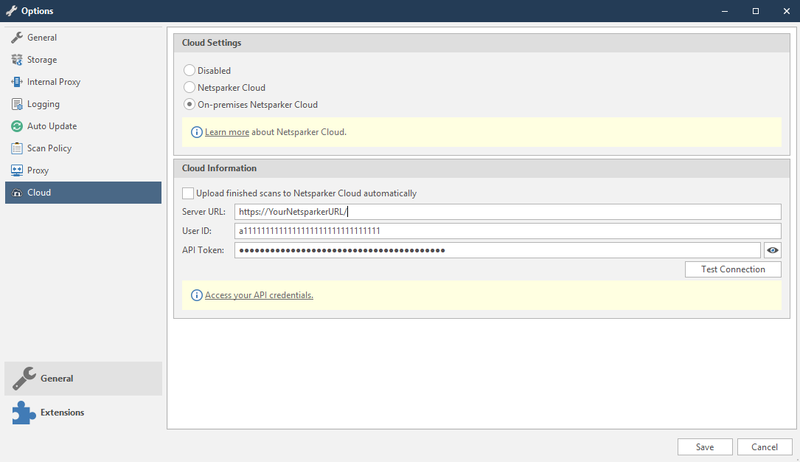 In order to be able to integrate Netsparker Standard with Netsparker Enterprise, you must first provide Netsparker Standard with your login credentials. From the Home tab, click Options. The Options dialog is displayed. Select the Upload finished scans to Netsparker Enterprise automatically checkbox if you’d like to export your scans automatically once they complete. Complete the User ID and API Token fields (see How to Access Your API Credentials). Click Test Connection to verify the credentials. Open the scan you want to export. 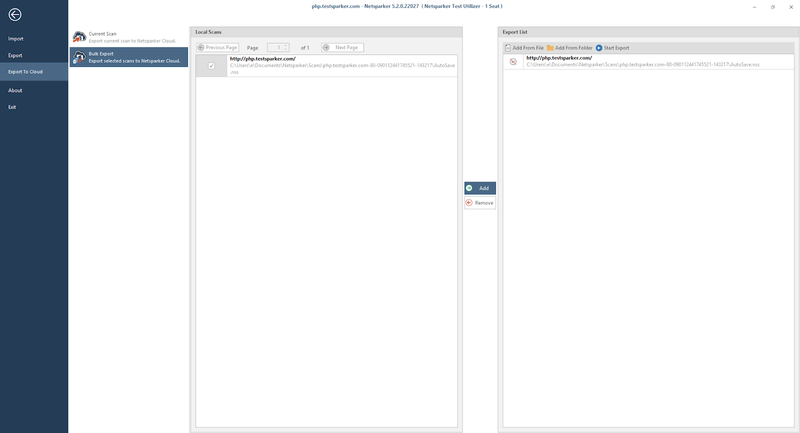 From the Home tab, click Export to Enterprise. The Success dialog is displayed (including a link to the current scan). Or, from the File tab, click Import, then Local Scans. Click the Export to Enterprise icon ( ). From the Local Scans list, select the scans you want to Export. Click Add. The scans are copied into the Export List. You can add a scan to the list that will be exported to Netsparker Enterprise. Also, scan files can be imported into this list manually. 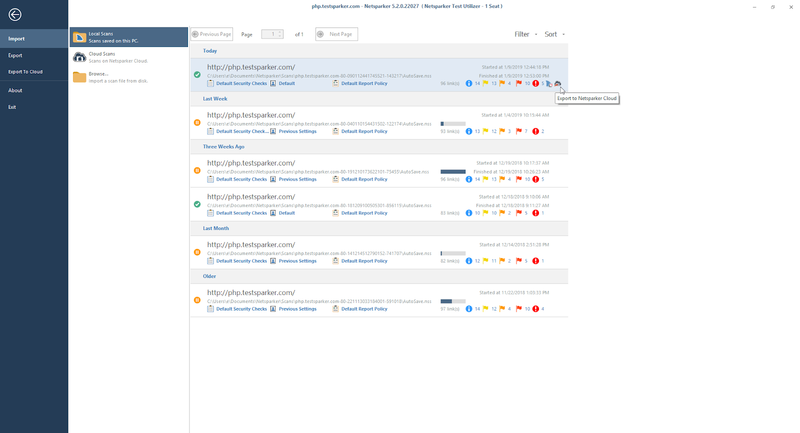 Netsparker Standard lists all scans you have exported from Netsparker Enterprise. 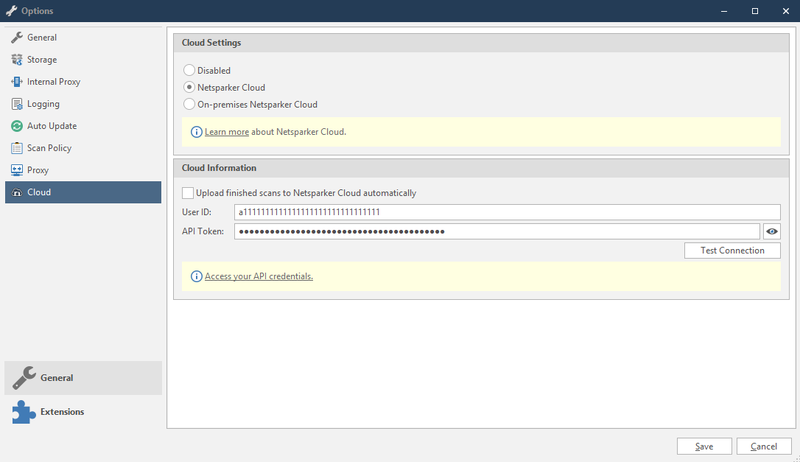 You can also view your exported scans in Netsparker Enterprise. From the File tab, click Import, then Cloud Scans. 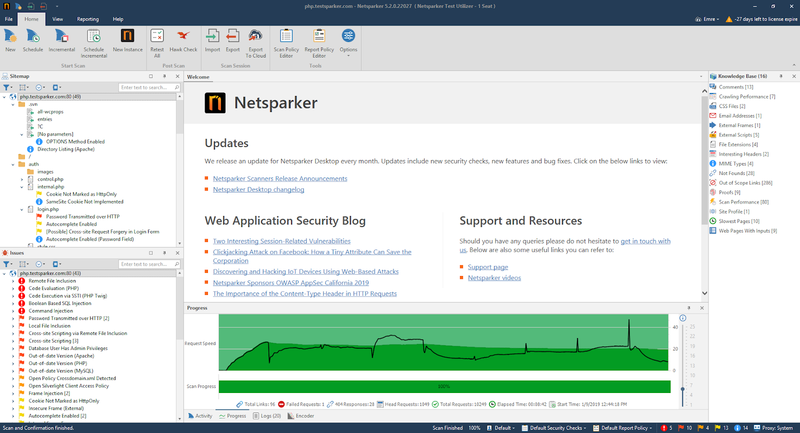 All scans you have exported from Netsparker Enterprise into Netsparker Standard are displayed. From the main menu, select Scans, then Recent Scans. The Recent Scans window is displayed. Scans exported from Netsparker Standard into Netsparker Enterprise will display the Netsparker Standard icon ( ) among the Website column icons.